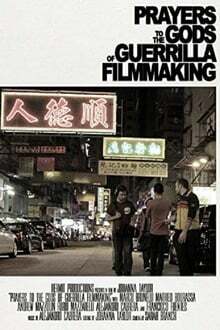 Six strangers meet in Hong Kong for a three week no-budget film shoot, full of enthusiasm for the project. But as time wears on cracks begin to show as tight schedules, cramped conditions, location problems, personality clashes and the stress of shooting on the fly combine to put strain on the entire cast and crew. And it doesn’t help that nobody’s getting paid. As time passes they struggle to remember why they signed up in the first place, leading to reflections on the value of being a ‘starving artist’ and the limits of artistic integrity – and explosive confrontations that jeopardize the whole project.